Day light saving time has started, the air is warmer, and spring is only 9 days away. 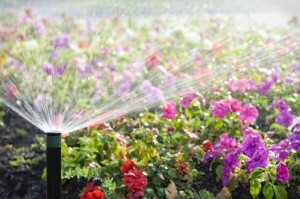 It’s time to get your sprinklers ready for spring. But how do you do spring sprinkler set-up? 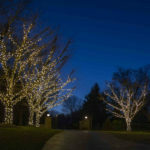 Aqua Bright llc Irrigation & Illumination is here to share with you how to get your sprinkler system ready to go after being dormant for the winter. Before you begin your spring sprinkler set-up you should check your supplies for replacement parts. Make sure you have commonly needed sprinkler supplies like sprinkler heads, irrigation fittings, valves, and pvc pipes. If you don’t have spares go to your local hardware store and pick some up. If you see signs of spring and are getting ready to start your sprinkler system hold off until you’ve checked the soil. Take a shovel or spade and dig 12 inches down to make sure the ground has really thawed. 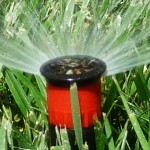 If it hasn’t and you started your sprinkler system it could cause serious damage. If the ground has thawed all the way down to the 12 inch mark then you’re probably safe to start it up. After you’ve checked the soil the next step in spring sprinkler set-up is to check your system settings. Check your irrigation control programs. Make sure the timer’s date and time are correct, and that the setting are appropriate for your lawns watering necessities. If it has a back-up battery check to make sure it still has a charge and if not replace it. Once your control systems settings are set you need to check the system for obvious faults. 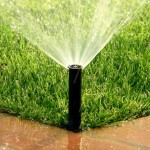 Checking your sprinkler system for faults before you open the valve and fill it with water can save you from a headache. Admittedly, you might not be able to find every fault without the sprinkler system filled, but you can find some major ones before they make a mess. 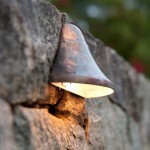 Look for cracked, chipped, or worn out components and replace them before starting the system up. Once you’ve replaced any obvious faults you can find by a simple visual inspection it’s time to open the valve and fill the system with water. The next step in spring sprinkler set-up is to open the valve. When you open the valve make sure you open it slowly. If you don’t open the valve slowly the air inside the sprinkler system won’t have time to escape. The trapped air will cause the pressure to increase to more then what the system can handle and the pipes, valves, fittings, or the sprinkler heads can blow off. Because of the loud noise that accompanies the burst the phenomenon has been named a “water hammer”. Avoiding a water hammer incident is important for the entirety of your sprinkler system. Even if there’s no visible links after a water hammer event there may be a slow leak underground that can lead to wasted water and grass becoming oversaturated with water. After you’ve safely refilled the system inspect it’s elements again, this time looking for signs of leaking. With the system filled with water it should be easier to find faults that had not been visible before. You will want to continue visually inspecting the system for a few weeks after you’ve restarted it to make sure there aren’t any smaller, slower leaks that might be difficult to spot at first. Also check for overly saturated patches of soil, as those might be the locations of underground leaks from cracked pipes. 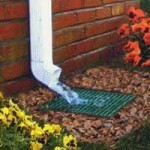 If you find any leaks replace the broken pieces immediately. This entry was posted on Wednesday, March 11th, 2015	at 8:26 pm	. You can follow any responses to this entry through the RSS 2.0	feed. Both comments and pings are currently closed.